Well kept 4 bedroom, 2 bath house on a beautiful 1.78-acre lot bordering Canyon Creek. 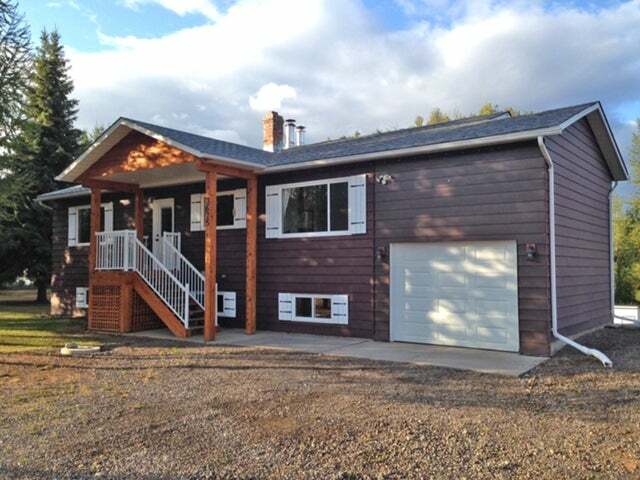 This property is located towards the Driftwood area of town, and only a few minutes away from Smithers. The upstairs of the home has a practical layout with bedrooms on one end and the primary living space on the other. Enjoy the large, fenced backyard overlooking Hudson Bay Mountain. Features include a large garden, chicken house, firepit, wood stove, newer roof shingles, and new flooring and paint in the basement. This property is in an excellent location and has a lot to offer!